Can the New Agricultural Policy and hi-tech Agri-Park help local farmers? Walking through his 1.2 hectare farm with his hands behind his back, Leung Pun-kin conducts his daily inspection of his crops. 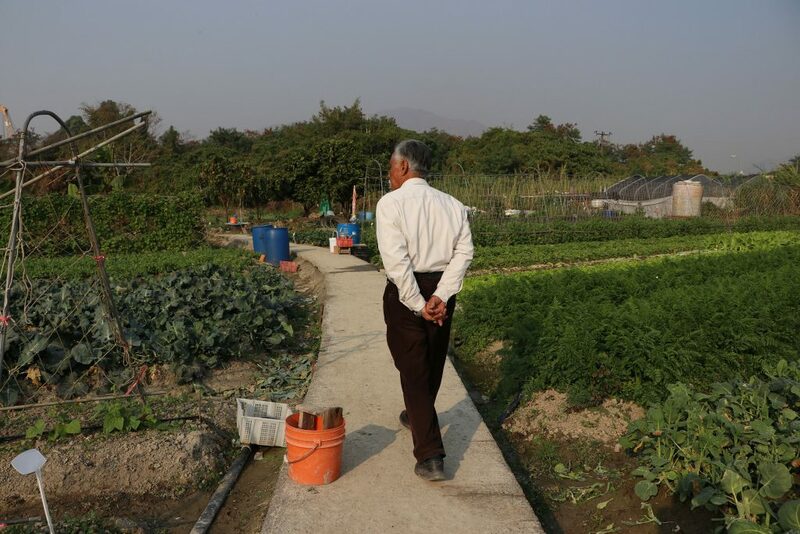 The septuagenarian has spent more than half his life farming and is the owner of the Healthy Organic Farm in Yuen Long, one of the oldest and largest organic farms in Hong Kong. “At the peak time, the figure may scare you, but I used to earn HK$10,000 a day,” he says with a proud smile. The smile is soon replaced by a frown as Leung says that now, decades on, he is still making over HK$10,000 a day. However, operating costs have shot up to HK$300,000 a month. At the current rate of earnings, the business is barely sustainable. Over the past few decades, the share of locally grown fresh vegetables has dropped from over 30 per cent of the Hong Kong market in 1986 to just 1.7 per cent in 2016, which means the territory relies heavily on imported food. The decline in local agriculture is directly related to Hong Kong’s urban development. The construction of new towns in formerly rural areas such as Yuen Long, Fanling, Sheung Shui and Tuen Mun accelerated in the 1970s and 1980s. These areas, with their expanses of fertile, flat plains were once the core of Hong Kong’s agricultural industry. “People would rather go learn a trade or work in construction to earn their living. Why would they choose to farm and endure the elements?” laments Leung, who is also a former president of the Organic Farmer Association. The group was formed by local farmers to help each other out in the face of the challenging environment for farmers in Hong Kong. The government has tried to help, implementing the Agricultural Land Rehabilitation Scheme (ALRS) under the Agriculture, Fisheries and Conservation Department (AFCD) to assist farmers who want to rent private land to farm. The AFCD has received 484 applications over the past 10 years in its role as a matchmaker to line up landowners with prospective tenants. There have only been 165 successful cases. He announced a new agricultural policy and the establishment of a HK$500 million Sustainable Agricultural Development Fund (SADF) to fund projects that would enhance agricultural productivity and output, or help farmers switch to sustainable or high value-added operations. In a written reply, the AFCD said it had received 20 general applications by the end of 2017 but none has yet been approved. The applications are being processed and some of them have been submitted to the SADF Advisory Committee for vetting. The board is composed of government officials, some farming sector representatives, academics and professionals from the accounting and legal sector. A spokesperson said it may take time for applicants to clarify technical points and the feasibility and financial arrangements of their proposed projects. Wong Chat-tai, the founder of the New Territories Local Farmers’ Organic Vegetable Marketing Co-operative Society has a farm in Yin Kong village in Sheung Shui and is one of the applicants waiting for an answer. Wong also questions the make-up of the vetting committee and thinks it should include more agriculture practitioners. “Though it seems to be a matter of impartiality, but how can they vet the application if they are just laymen?” she says. As for the New Agricultural Policy and its flagship programme, the new Agriculture Park (Agri-Park), Wong wonders if it will really benefit ordinary farmers. The government hopes the Agri-Park will nurture new agro-businesses and agro-technology operating on a commercial scale. It will provide 75 to 80 hectares of farmland in the North District. The AFCD will lease the farmland for commercial crop production, including conventional and organic crop-raising, floriculture, and modern technological farming activities. Construction is currently underway in Kwu Tung South. Farmers who have been displaced by government development projects, including those who lost their farms due to the Agri-Park project itself, are eligible to apply. The remaining farmland will be open for tender. Farmer Chiu, who does not wish to disclose his full name, is one of the farmers affected by the North East New Territories New Development Area plan (NENTNDA). He has been a farmer all his life, having inherited the family farm in Kwu Tung North. Chiu believes the farmers in Kwu Tung and Fanling are the last hope for preserving traditional farming in Hong Kong. But he is sceptical about the Agri-Park. For him farming is simple and does not require large-scale infrastructure. “You only have to provide farmers with arable land, water and a supply of electricity,” he says. Tse Tat-yan from the Ma Shi Po Concern Group is also unconvinced by the Agri-Park. He lives in Ma Shi Po, Fanling, which is part of the NENTDA. For Tse, the government’s grand plans, including the Agri-Park, are “public relation skills” to impress the public. He says the policies do not really address the needs of farmers.“They [the government] are good at making all these frameworks to show they will take care of the affected farmers, but in fact they won’t,” says Tse. Tse thinks the corporate management style of the proposed Agri-Park does not suit traditional farming practice. Agricultural activities in the Agri-Park are commercial and profit-oriented, and the land inside the park is set up for intensive production, he adds. In conventional agriculture, farmers live on the land, next to their workplaces but the Agri-Park will not have living spaces for farmers. For Tse, this is impractical and unrealistic because farmers have to watch over their crops and even work overnight. “The Agri-Park is for the high-techs. Farmers? Maybe, if you still survive,” he says. Even if they want to apply for land to farm in the future Agri-Park, the farmers do not know when they will be able to do so. There is still no completion date and in fact, they face uncertainty over the whole land resumption process. 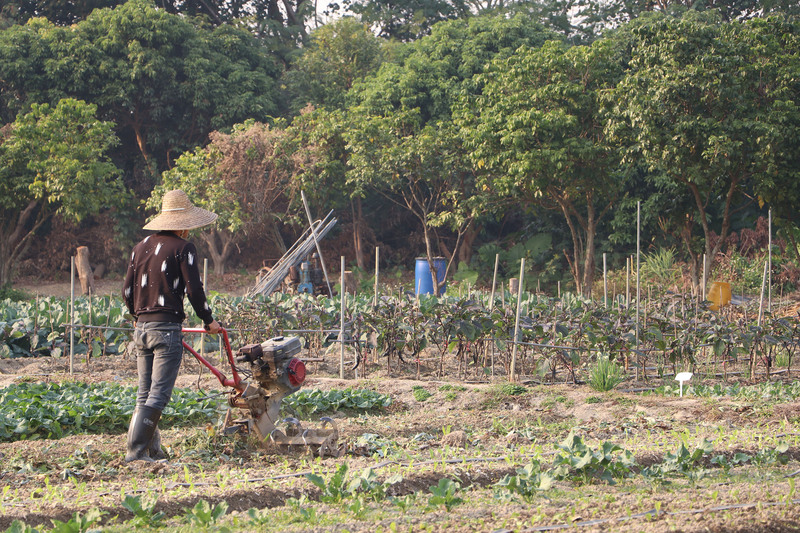 As he is affected by development projects at the Kwu Tung North and Fanling North New Development Areas, Tse is eligible to apply for the Special Agricultural Rehabilitation Scheme (SALRS) to find a match for suitable government or private land to continue his agricultural activities. But he says he still does not know when his land will be resumed and how much compensation he will receive. It is not for want of asking. Tse says he has been looking for answers since 2013, when he became eligible for the scheme. But what he does know is that there has not been a single successful land matching in the more than four years since then. Kenneth Wong Koon-kwai, a retired Hong Kong Baptist University geography professor, says the government should think of more ways to allocate arable land for agricultural use. “Nowadays, the problem is people who want to farm do not have the land while people who have the land do not want to farm,” says Wong. Wong thinks the existing government policy and measures fail to provide practical help to local individual farmers and people who want to work in the agricultural sector. 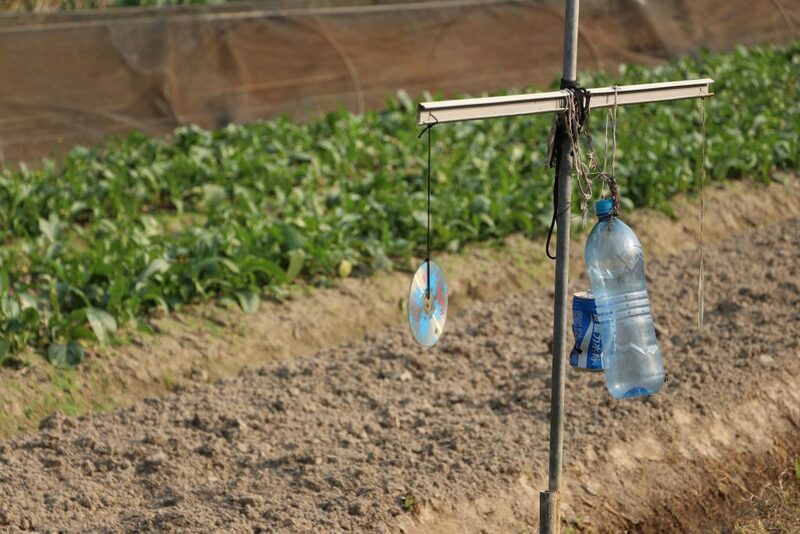 The New Agriculture Policy conceptualises agriculture as a hi-tech business, but Wong thinks this may be neither sustainable nor practical in the Hong Kong context. Wong notes that there are young people in Hong Kong and around the world who are reflecting on the meaning of farming and agriculture, and who believe that relying on purely commercial agriculture is not sustainable for the planet.